by James Foster, University of Hawaii (TheConversation) Racing across ocean basins at speeds over 500 miles per hour, tsunamis can wreak devastation along coastlines thousands of miles from their origin. Our modern tsunami detection networks reliably detect these events hours in advance and provide warning of their arrivals, but predicting the exact size and impact is more difficult. Evacuating coastal zones can cost millions of dollars. To reliably predict whether a tsunami is large enough to require evacuations, many more observations from the deep ocean are needed. Researchers from the University of Hawai‘i (including me), funded by the National Oceanic and Atmospheric Administration (NOAA), are partnering with the Matson and Maersk shipping companies and the World Ocean Council to equip 10 cargo ships with real-time high-accuracy GPS systems and satellite communications. 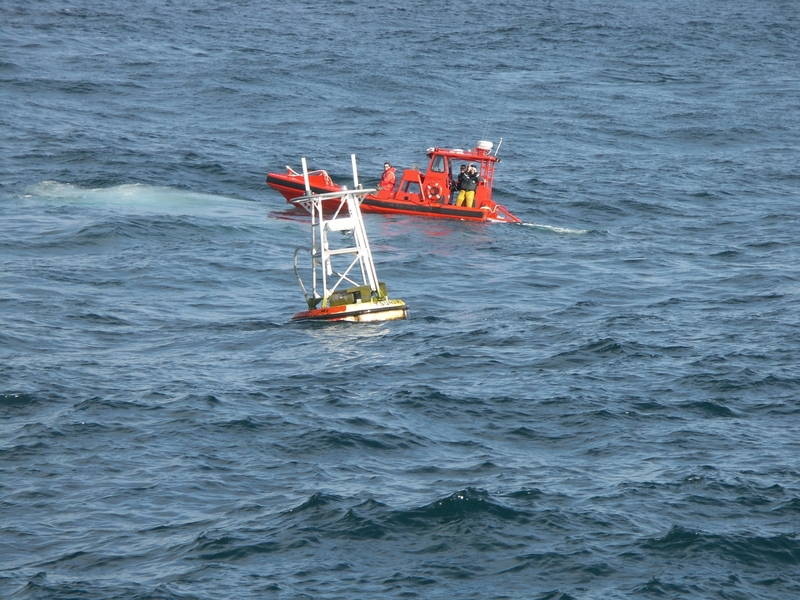 Each vessel will act as an open-ocean tide gauge. Data from these new tsunami sensors are streamed, via satellite, to a land-based data center where they are processed and analyzed for tsunami signals. It is a pilot project to turn the moving ships into a distributed network of sensors that could give coastal communities more time to evacuate. Despite the advances in tsunami monitoring and modeling technology over the last decade, it remains difficult for hazard response agencies to get enough information about potential tsunami threats. The problem is that there are too few observations of tsunamis to provide sufficiently accurate predictions about when, where and how severely tsunamis might occur. 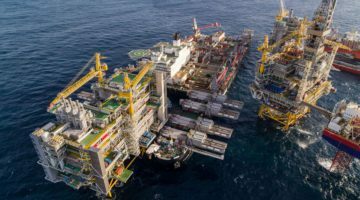 In particular, there are very few sensors in the deep oceans that often lie between tsunami sources – usually earthquakes occurring under the ocean trenches that mark where tectonic plates meet – and the distant coastlines that might be threatened. Gaps in the coverage of the network, as well as routine outages of instruments, limit the ability of the current detection system to accurately assess the hazard posed by each event. The deep ocean sensor networks that do exist are expensive to build and maintain, so only a limited number are deployed, at locations chosen based on our best current understanding of the hazards. But the unexpectedly huge 2011 Tohoku, Japan, earthquake and the unanticipated type of fault slip that caused the 2012 event at Queen Charlotte Islands, Canada, highlighted weaknesses in this approach. For the 2012 tsunami from the Queen Charlotte Islands earthquake, the lack of deep ocean data meant a tsunami warning and evacuation was issued for some of Hawaii’s coastlines, though the event turned out to be smaller than predicted. This emphasized the need for more densely spaced deep ocean observing capabilities. Even just a few more observations in the right places would have enabled the scientists to improve their estimates of the tsunami size. The potential solution to this problem came about by chance. In 2010, I was running an experiment with colleagues using high-accuracy GPS on the UH research vessel Kilo Moana. On its way to Guam, the Kilo Moana was passed by the tsunami generated by the magnitude 8.8 earthquake in Maule, Chile, on February 27 of that year. In the deep ocean this tsunami wave was only about 10 cm (about 4 inches) high with a wavelength of more than 300 miles. Its passage would normally have remained undetected, lost amid the several meters of heave of the ship in the regular waves. However, careful analysis of the data collected by the GPS proved that the system we had in place accurately recorded the tsunami signal. 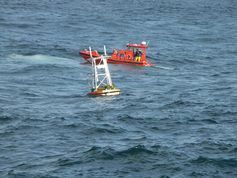 The ability of the GPS-based system to detect tsunamis among the much larger ocean waves comes from the distinct difference between their respective intervals, called periods. Ocean swells that rock even the largest ships come at intervals of 15 to 20 seconds. Tsunami swells, however, take 10 to 30 minutes to pass – or even longer. Looking at the height of the ocean’s surface – and of a ship afloat – over this longer time period, the normal fluctuation of ocean swells cancel each other out. The data then reveal the long-period perturbations caused by a passing tsunami. 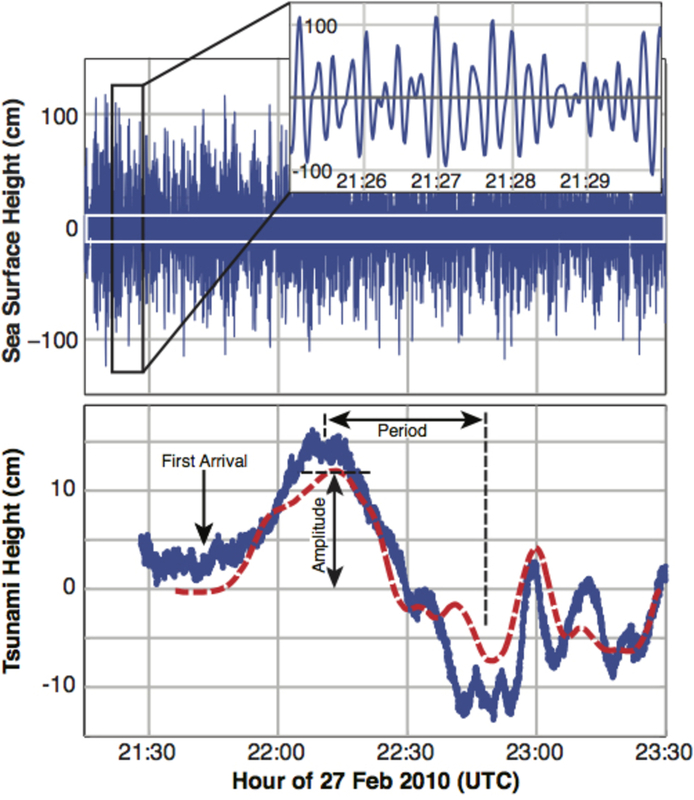 The recognition that tsunamis can be detected from ships is a game-changer. 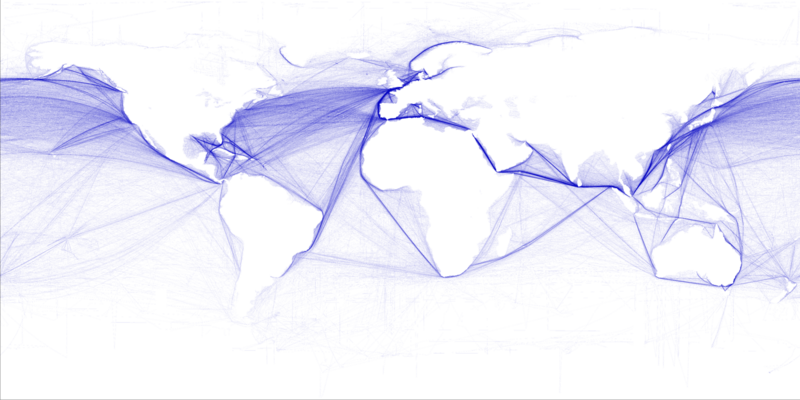 There are thousands of large cargo ships sailing the shipping lanes across the world. Rather than building and deploying many more of the expensive traditional sensors to try to fill gaps in coverage, it makes sense to use the ships that are already out there. This new approach offers a cost-effective way of acquiring many more observations to augment the current detection networks. While these new observations will not necessarily lead to quicker detection of tsunamis, they will lead to more accurate predictions being made more quickly. Working with the NOAA Tsunami Warning Centers ensures that the newly installed network provides their scientists with the most useful data to help with their predictions. Collaborating with industry partners, we will be developing a new version of the shipboard package that can be deployed easily on a much greater number of ships. 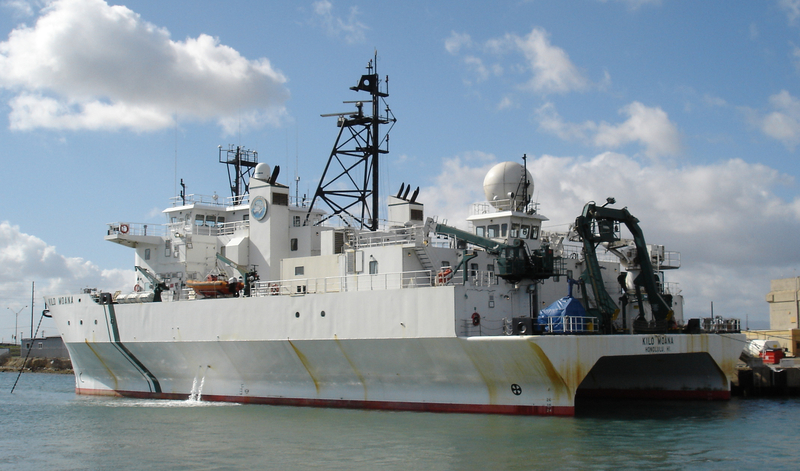 The new ship-based detection network is the first step toward the creation of the dense global observing network needed to support the efforts of all tsunami warning centers to provide the best possible predictions of tsunami hazard to coastal communities.